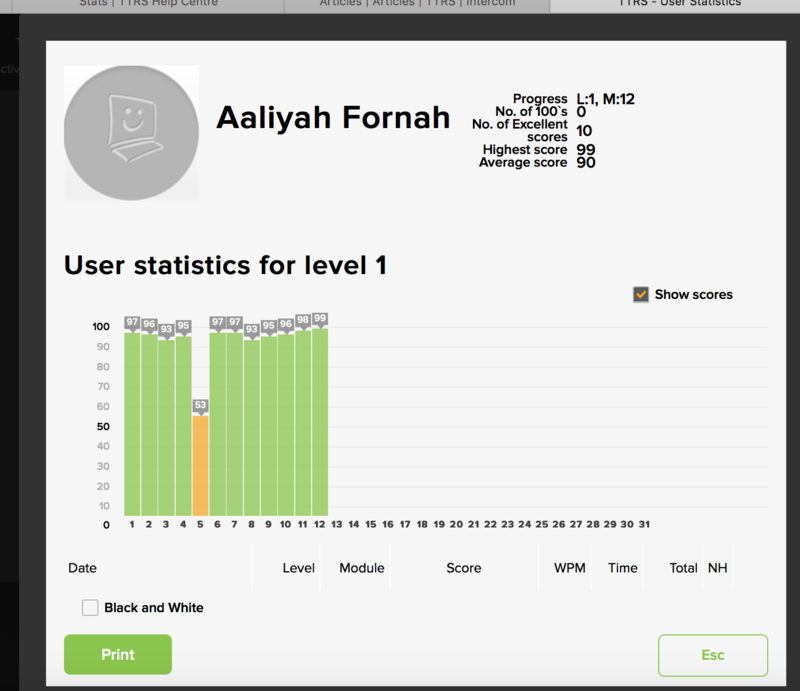 There are several ways to view your students’ statistics. 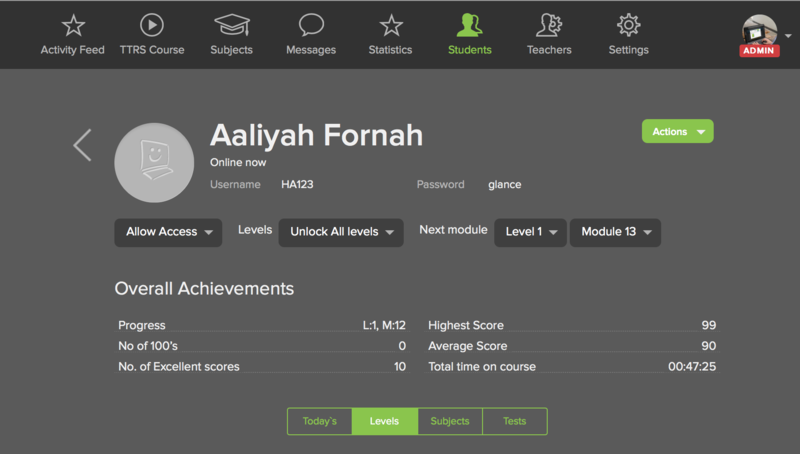 They can be accessed from the Students menu of your Admin console, as well as the My Stats section of the student’s user console. 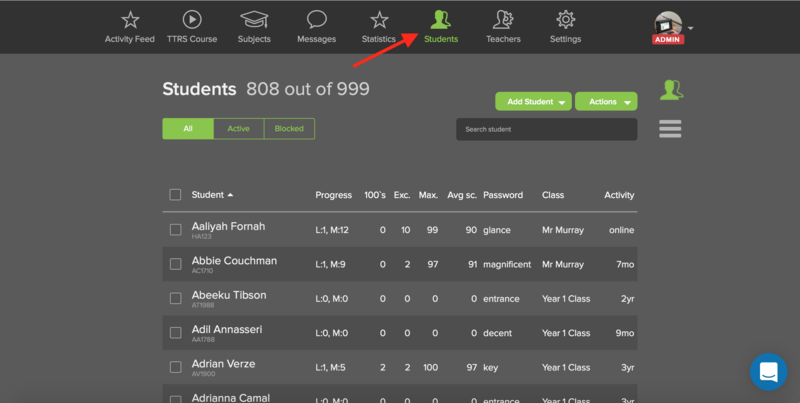 From the Admin or Teacher accounts, you can track user progress in real-time. 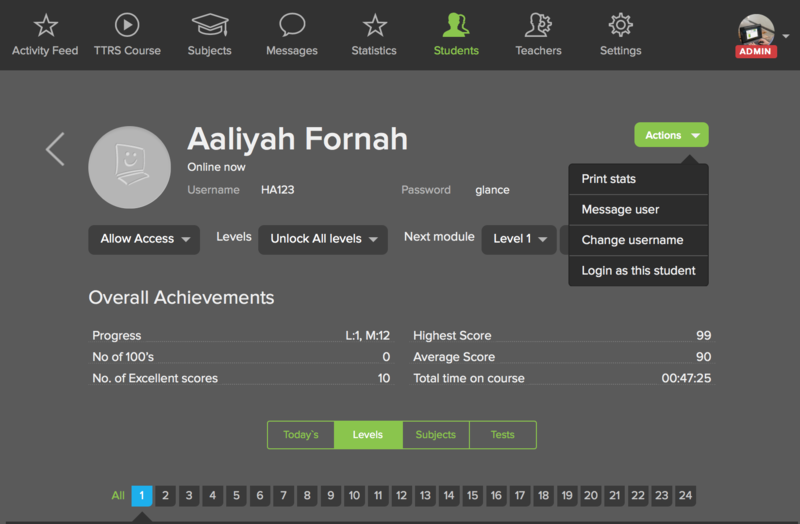 Click on the Students menu, and then click on a student's name to view their statistics. 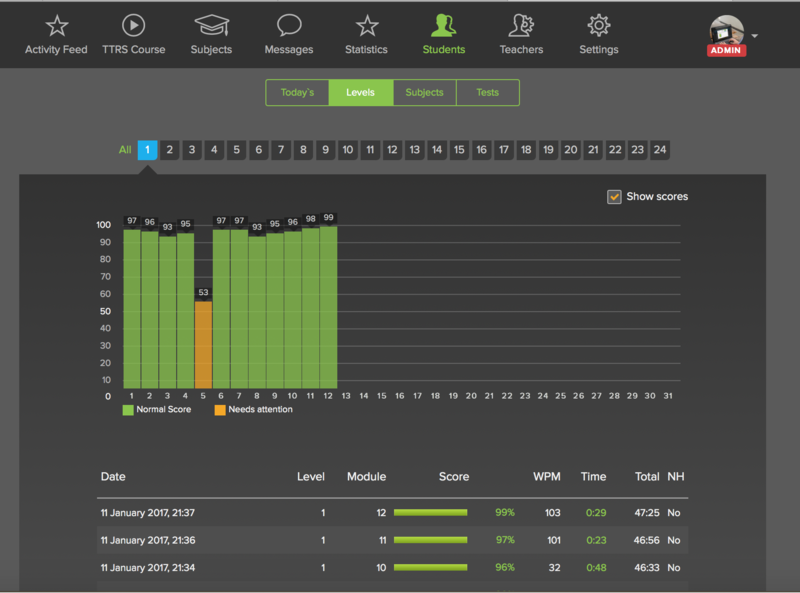 Alternatively, you can monitor their progress via the My Stats section of the student account. Student statistics can be printed and taken home. This evidence can be a great boost to self-esteem between lessons. Click Print on the bottom left hand side. Note: If you have a black and white printer - tick the box Black and White - this ensures that the graphs are printed correctly. The stats data can be re-ordered by clicking on any of the column headings to rearrange how the values are displayed. 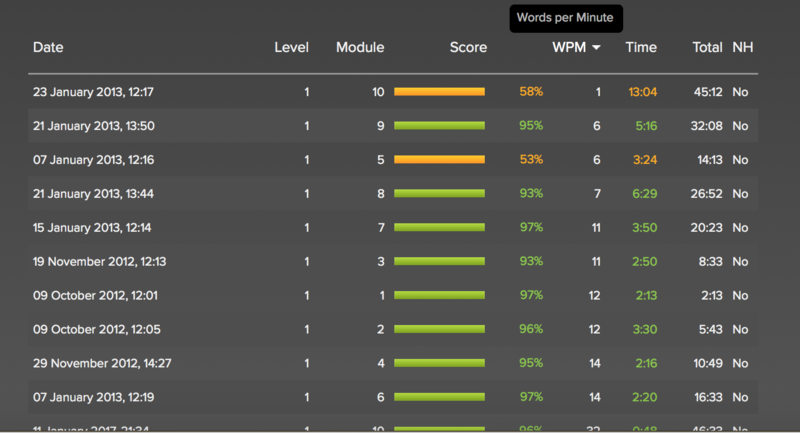 For example, click the WPM column heading to find a student’s personal best speed. However, it’s important to stress that accuracy is more important than speed particularly in the early part of the course. 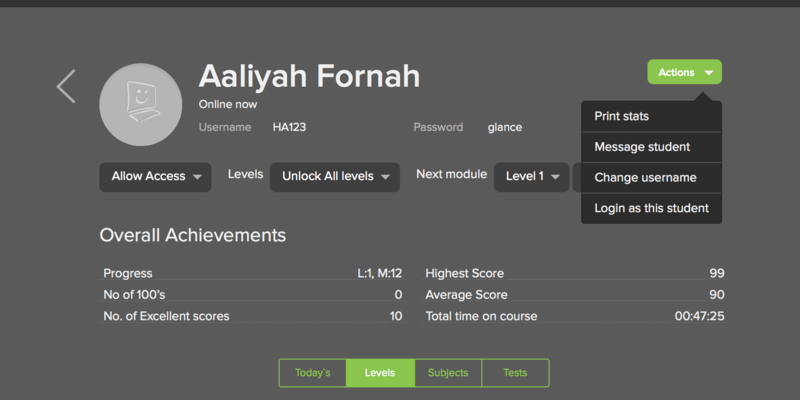 Speed will come automatically as the student masters accuracy. This is useful if you want to quickly login to the student account. Notice: this will log you out of your Admin account.